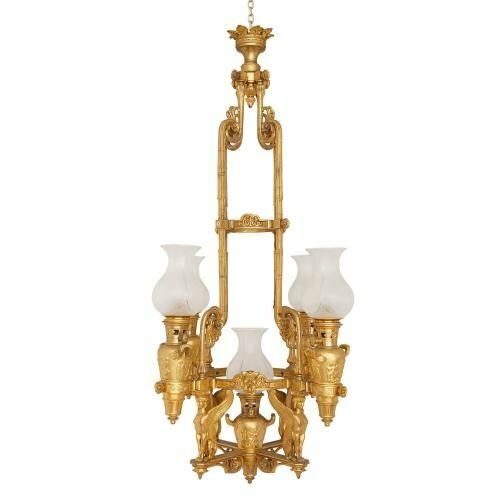 This French antique chandelier is cast entirely in lustrous ormolu, and features detailed Empire style and neo-Grec ornamentation all over. 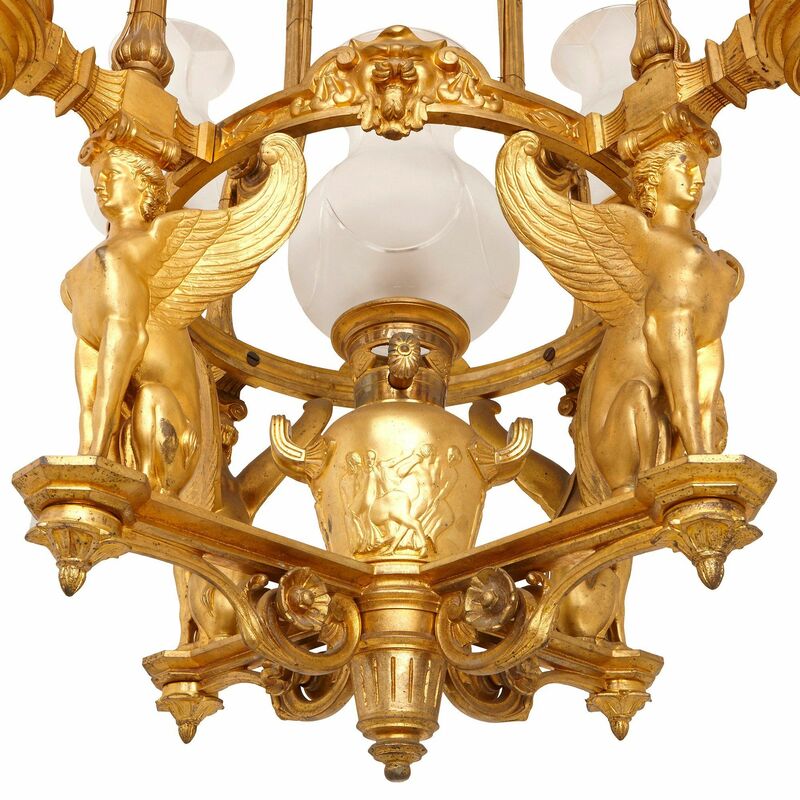 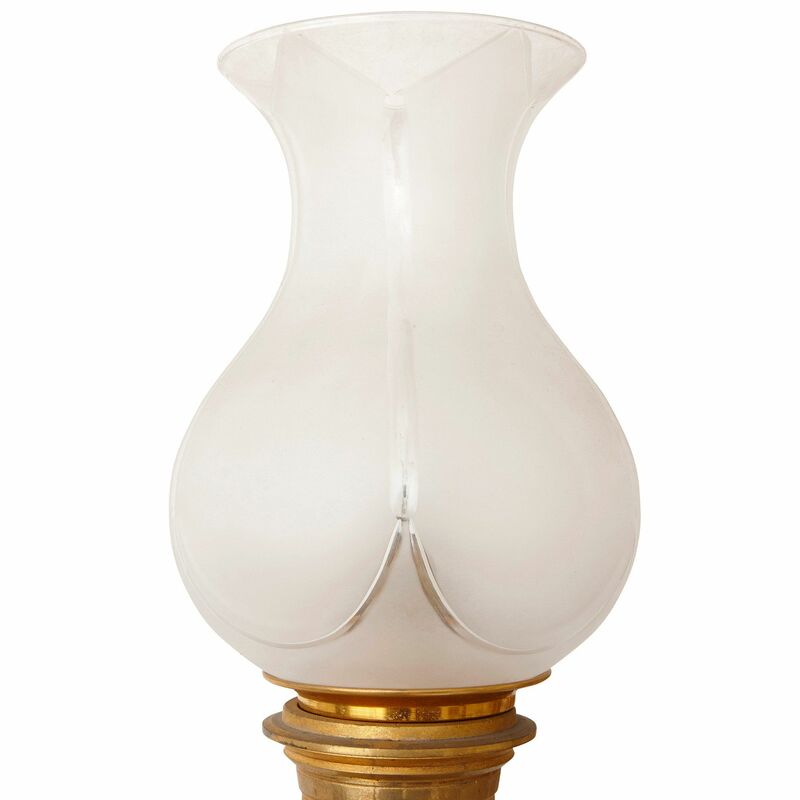 The chandelier has four outer lights and one central light, each with tulip form shades of frosted glass. 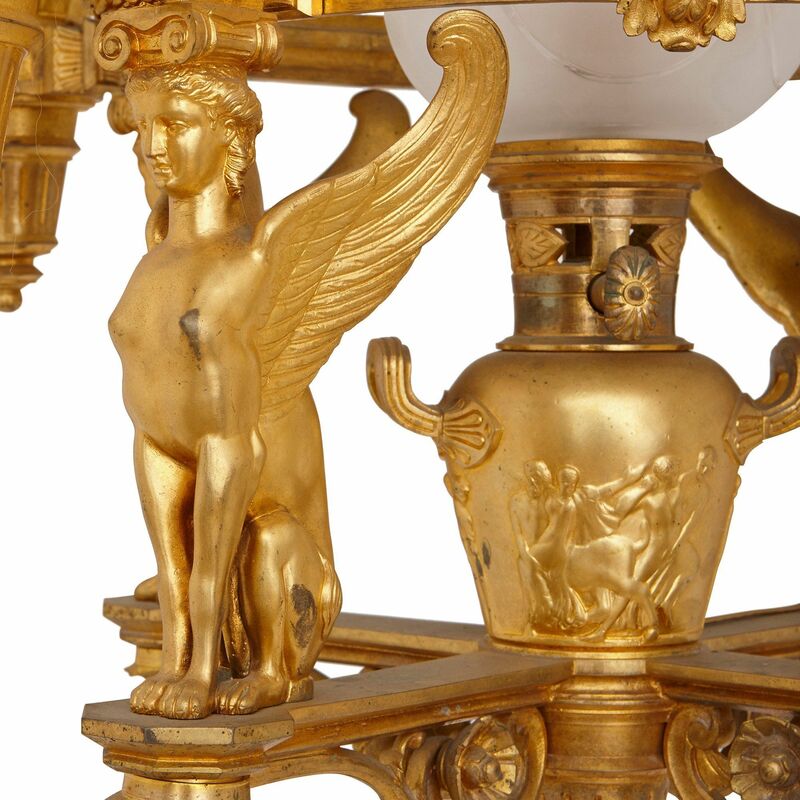 Each of the outer lights are supported on ormolu torches with neo-Grec reliefs, atop a winged sphinx. 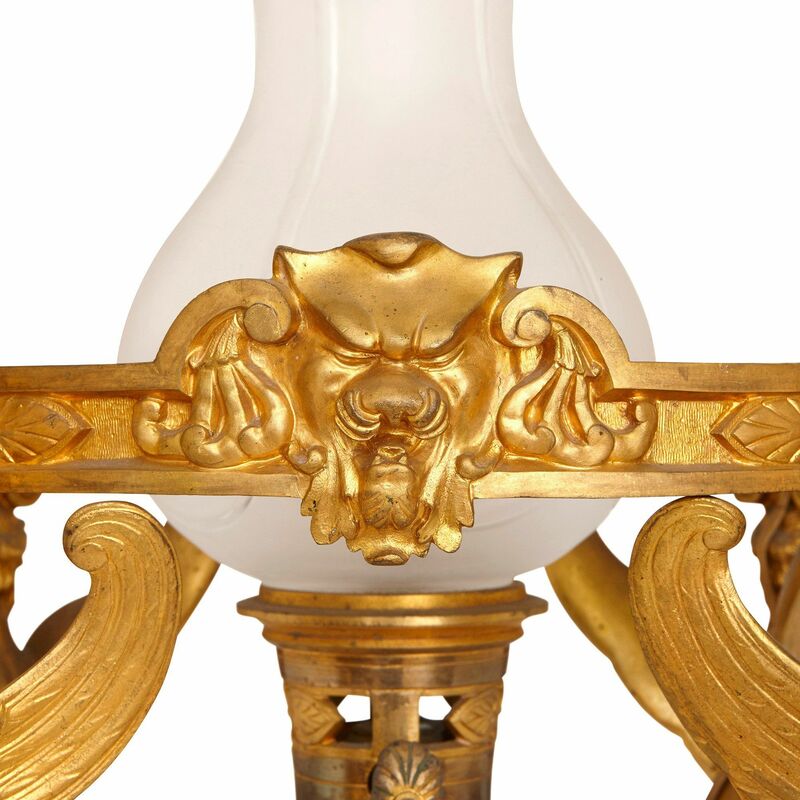 The outer lights are attached to a circular band of ormolu decorated with gargoyles. 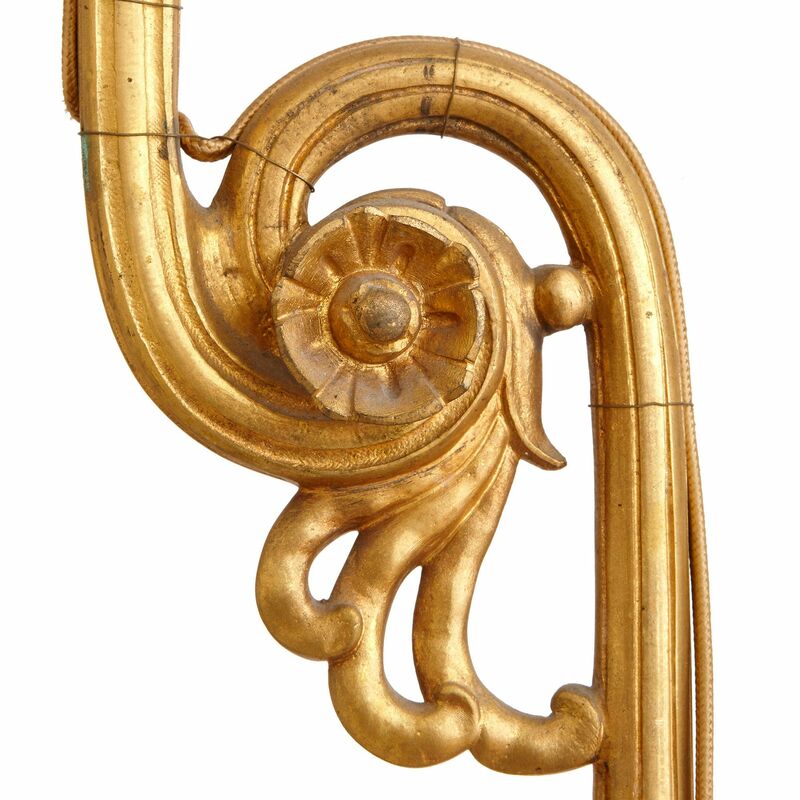 Within this band is set the fifth central light, slightly lower than the others, and supported at the base with cross-form brackets ornamented with scrolls. 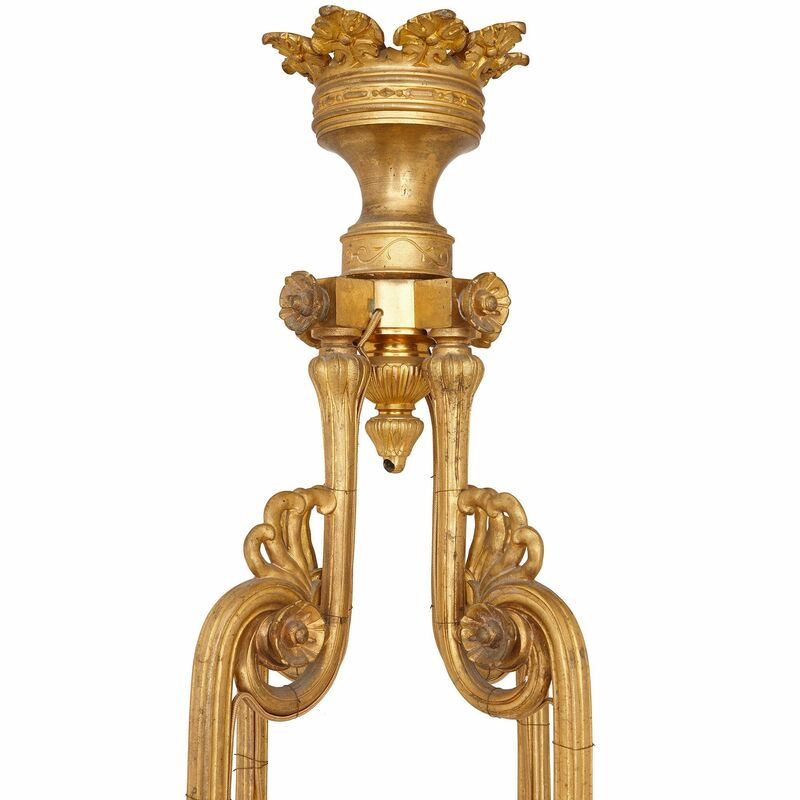 The chandelier hangs from four, fluted and scrolled supports with a crown finial. 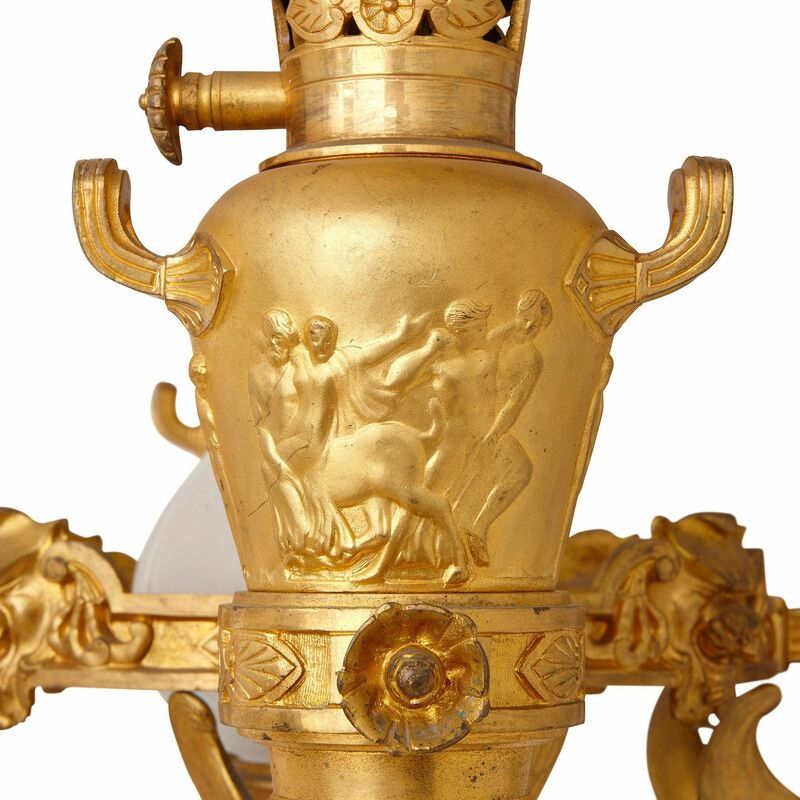 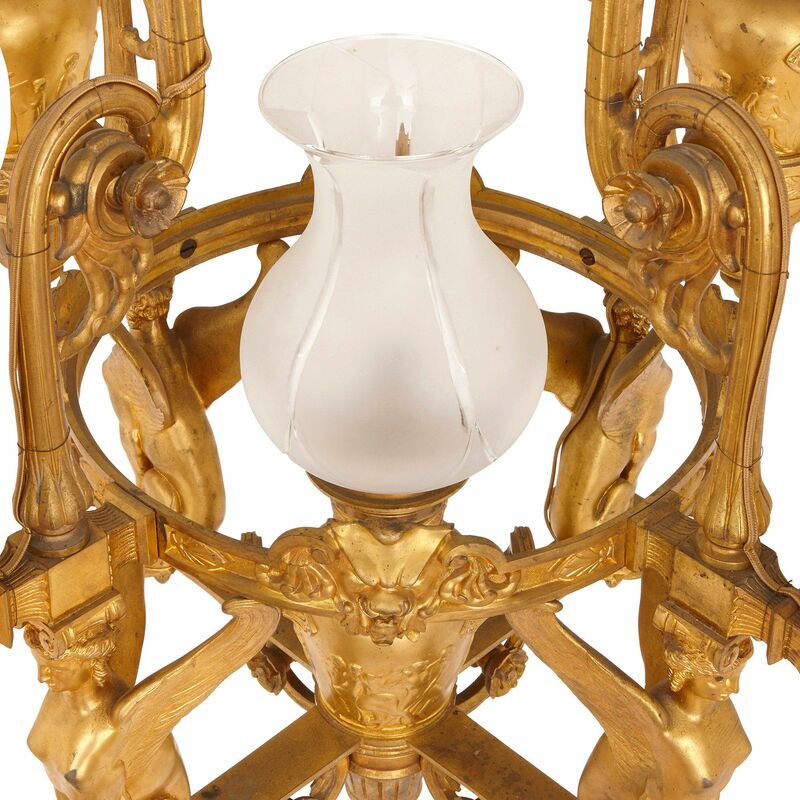 The fine work in ormolu could be attributed to master bronzier Ferdinand Barbedienne (French, 1810-1892).